For the petrolheads at Top Gear Magazine, car photography is about more than just a car on a stretch of tarmac. It's about ultimate escapism. For Top Gear, a truly great photograph should instantly transport you to the location and behind the wheel, delivering the speed, power and atmosphere of the moment in one shot. In this collection of Top Gear's finest car photography, we get up close and personal with the hottest cars of recent years in some of the most stunning locations. You'll see the world reflected in gleaming bodywork, raindrops on windscreens at 90mph, and the blur of wheels against a backdrop of epic vistas. 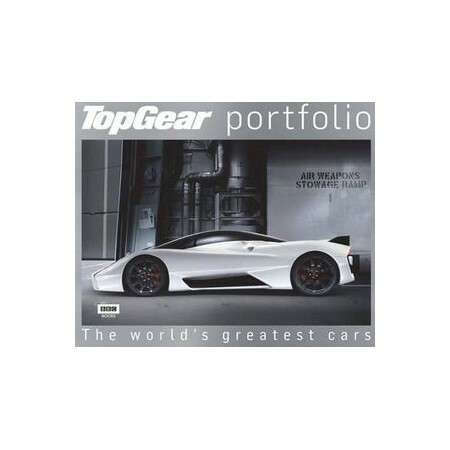 Portfolio is the perfect coupling of automotive masterpieces of design and world-class photography. If the speed, power and craftsmanship of the world's finest, fastest cars can be captured in a moment, this is it.